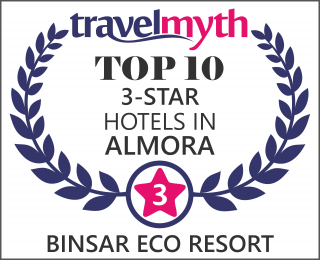 Binsar Eco Resort with 25 well furnished rooms with 6 family Cottages provides you the opportunity to get away from shrilling screams and buzzing sound of cities. You are welcome to be in the midst of sweet music played by the wind moving through forest and soothing silence of mountains in Kumaon. The most pleasurable moment when climbing mountains is to be at its top and then to look down at the picturesque valley having emerald green meadows spotted with fragrant wild flowers,fruits orchards. Strikingly visible are the glistening snow-clad peaks, showering you with rejuvenating fresh air from unending lush green oak forests. Here at Binsar Eco Resort with all modern facilities you can leisurely enjoy real charm of Binsar. Green Touch Rooms have been tastefully done up in a contemporary decor. In Family Room there is a additional room attached to the bedroom for your comfort. All meals are prepared fresh in our kitchen and served in the rooms or in the breakfast room. The cuisine is essentially North Indian with a few Continental and Chinese dishes. We are confident that you will find the food tasty and the service efficient and courteous. “We went there as our Company’s annual trip. 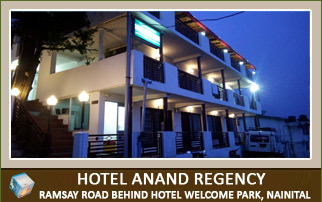 It was very good experience in terms of amenities, rooms, service, food. They arrange special bone fire night and DJ night…. both are very nice. Binsar Eco Resort is at very nice place….. the view of snow covered Himalaya’s…. picks…. 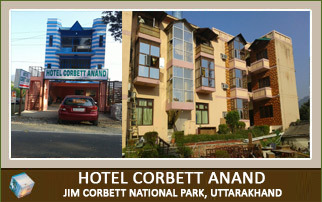 “Our group stayed on this resort from 24th Jan to 26th Jan. Experience of this resort was really good the location is very cool and calm the food quality is good the staff is very supportive specially the resort manager Vikash he give very good attention to his guest so over all we had spend very good time.